“Thirty eight BoA French Twinners and Randonneurs set off eye-wateringly early on Tuesday 29th May. The party was friendly and diverse, covering three generations. 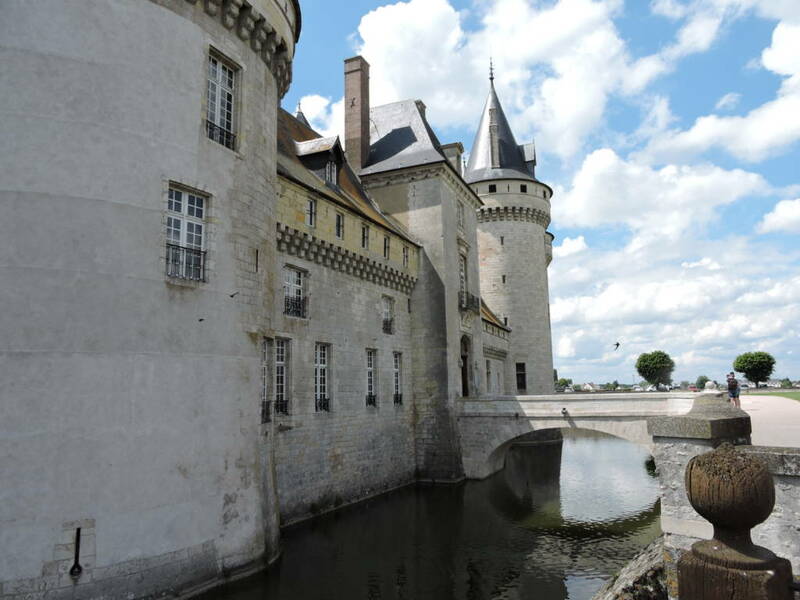 After many hours of coach and ferry travel, we arrived at our beautiful twin town Sully sur Loire and were distributed to our generous host families. We were treated royally: regaled with excellent food and wine at every opportunity. 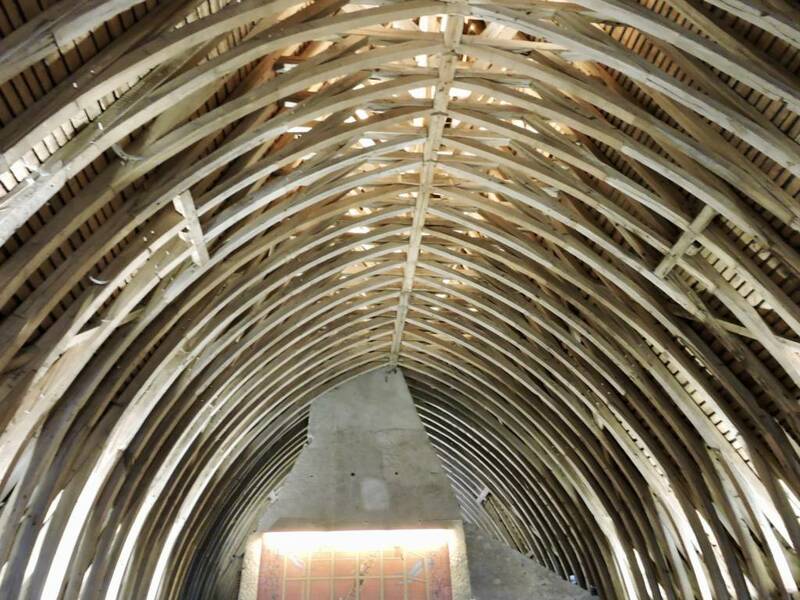 We were shown Sully’s high points, including its historic fairy-tale chateau with its towers encircled by swifts, 14th century moat and a mediaeval timbered-roof which could compete with the one in our Tithe Barn! We went to the city of Bourges, with its massive and impressive cathedral and reclaimed wet-lands with allotments and wildlife. We visited the chateau at la Ferte St Aubin, where we were shown how to make madeleines in a 17th century kitchen and had a picnic and games in the park. There was a lively dinner on the Friday evening with over 100 attendees, including quite a number of young people. We were greeted by two mayors: Jean-Luc Riglet and René Hodeau, the Mayors respecitively of Sully sur Loire and neighbour Viglain. I made a short speech in my high-school French which was well-received. I met a youth worker who had heard we had a Youth Strategy in BoA and wanted us to consider a joint youth project. I met the TIC manager who wishes to have closer links on our websites. We were entertained by the amazing Nell who had us dancing, singing and laughing. It was an excellent evening. On our final day many of us did a 41km cycle trip to the Etang de Bois. I am not much of a cyclist so this represented a big act of bravery on my part, much aided by going on the back of a tandem with Andrew! We swam in the lake too. Luckily I don’t think there is much photographic evidence of either as we were too busy having fun. This successful trip both entertained us and reinforced our relationship with our twin town. Further, it founded new friendships and fond memories. The Twinning teams from both sides were responsible for the excellent organisation, which at times was a bit like herding cats, I’m sure. It really had something for everyone and it was especially heartening that so many young people took part. So a great thank you to Colette Imbault and Vivienne Kynaston, leaders of Sully and Boa Twinning teams.